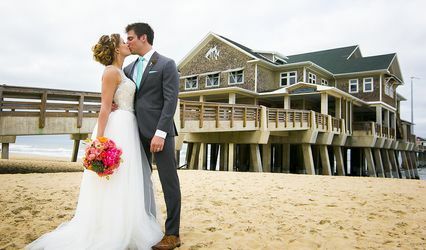 Dreaming of an Outer Banks beach wedding? 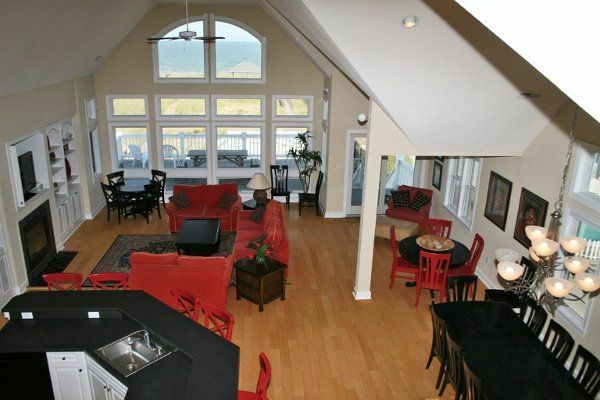 We offer many homes to accommodate your entire bridal party and your wedding guests. 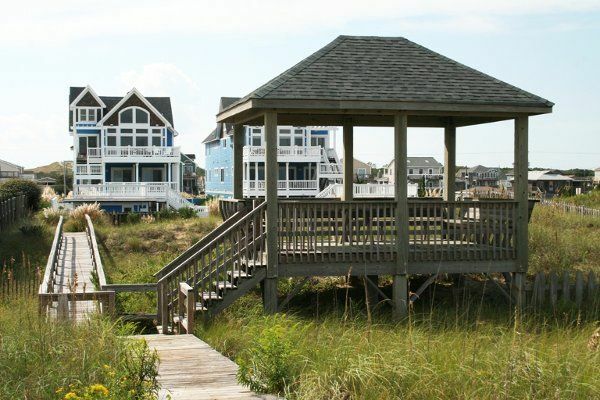 Large oceanfront estates in Nags Head or Kill Devil Hills; Currituck Club retreats and Corolla Light vacation homes on the northern beaches. 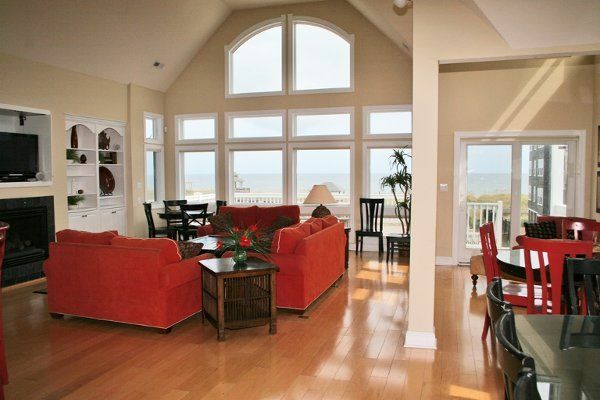 Choose from a 3 bedroom home on the sound side of the island to a 10 bedroom oceanfront in Nags Head. 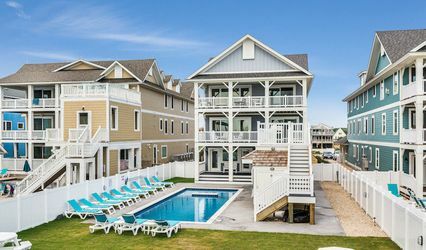 Whatever your budget or preference: sound front, fairway, beach road or oceanfront ... we will help you find the perfect accommodations for your Outer Banks wedding or honeymoon. 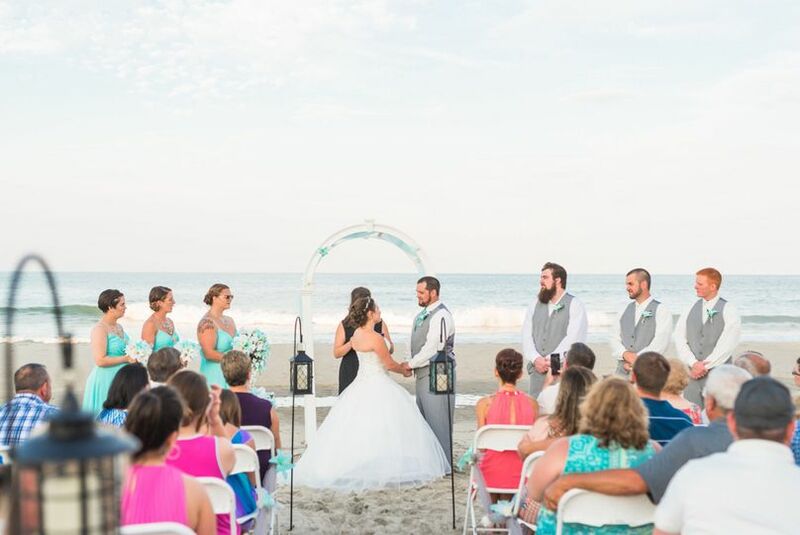 We have seen a rise in the desire for beach weddings along the Outer Banks and as a result, an increase in the number of rental homes in the area that will accommodate larger private events, offering room for up to 75 guests. These large and luxurious homes typically require a security deposit and are being requested for reception sites more frequently, as they create a warm and personal environment for everyone celebrating this special day with you. 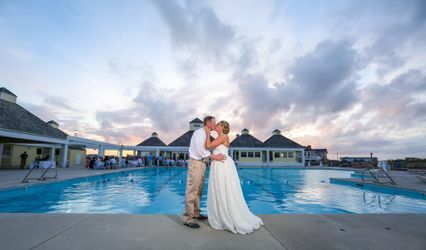 The Outer Banks wedding season is from May-October, the weather is nice but it is during prime season and the rates are higher and it is hard to find availability. If you get married in the less popular months, from November to March, you will have more dates available, more options for service providers, less expensive accommodations and fewer crowds. Also, consider having your wedding and/or reception on a weekday when more caterers, DJs and event locations will be available. The number one problem that you will find in planning a beach wedding is parking. 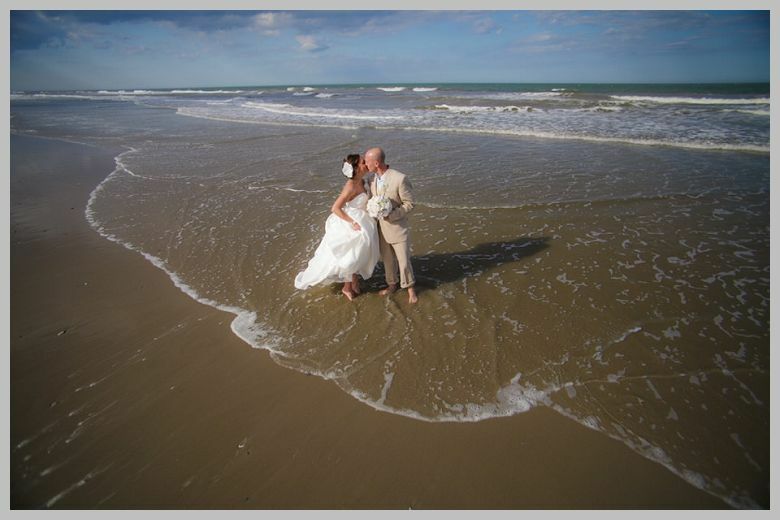 We recommend getting married near a public beach access that has plenty of parking or rent a house that is near a beach access with plenty of parking. Some brides make off-site parking arrangements and then shuttle guest to the site in buses. Please remember homes have a certain number of parking spaces. You are not allowed to park in the yard or along the roadside. Great Rental company. We were able to find a home big enough for our wedding party. We showed up before everyone by a few days and the air-conditioning went out. 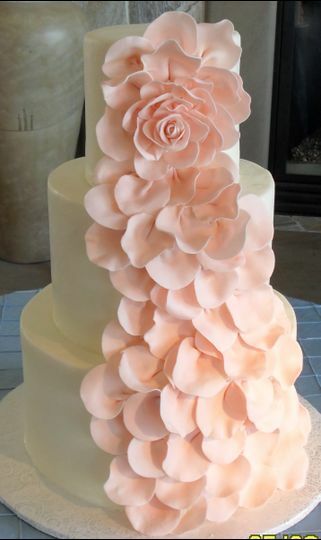 Being our wedding week were were so worried it wouldn't be fixed but they came out ASAP and took a look at it. Even changed out the entire unit the next day. They gave us window units to use in the mean time. Everything was clean and perfect. We rented the 'Take It To The Limit' property (SN16) for our quiet family vacation wedding. We definitely pushed the capacity at 37 family members, the home sleeps 40. Everyone was very comfortable, there were plenty of activities and recreational spaces throughout the home, plus the upstairs was ideal for full gatherings of the entire group. I would recommend 1 - 2 tours of the property to plan your vacation, when you have such a large group it is important to make sure you have the proper bedroom assignments, etc... 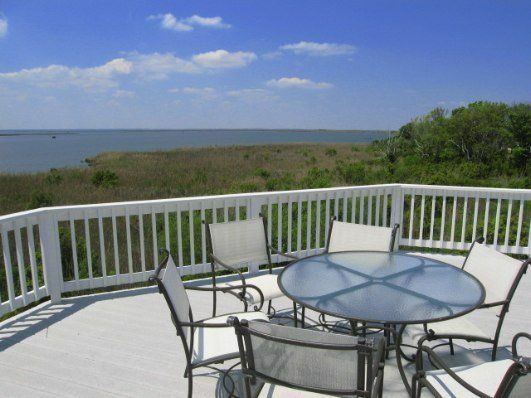 The beach in this portion of Nags Head is really wide and much more private than in other parts of the OBX. So it was an ideal and beautiful setting for everything. It was wonderful being able to spend a whole week with our family and the cost was comparable to a wedding venue which limits you to just your ceremony/reception time. If you are looking for a quiet family oriented wedding this type of setup is ideal. Village Realty was really wonderful to work with, allowing us multiple tours of the property on our own so we could mill about, plan the rooms and setups, and we didn't have to hear a sales pitch. It took a bit to get confirmation we could get the property because of the contract negotiations with the property owner but once that was complete everything went smoothly. 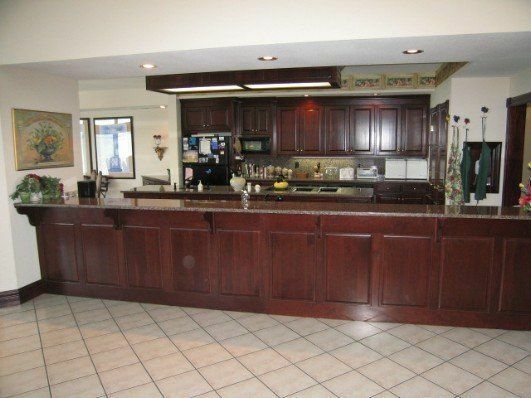 Staying in such a large home does mean there is a lot of equipment and maintenance issues are bound to happen. Each time we had an issue we reached out to Village Realty and they sent someone to the home right away. All of their staff members were very helpful and friendly throughout our booking and our stay. One really nice feature is they have an app, it provided us with our check-in information, a form to report any issues, details on features of the home, and helpful links for area attractions, discounts, etc... We will definitely be using Village Realty in the future for other trips to the Outer Banks. We rented the Best of My Love home for the week!! Best way to get married we had a blast all week long instead of just one night!! This is def the way to get married! Best of my love says you can have 75 guest for night of wedding. We had 48 and I wouldn't recommend anymore then 50 to really be comfortable. It was just perfect and if it rains the upstairs kitchen is stunning so def a good backdrop for a rainy wedding! 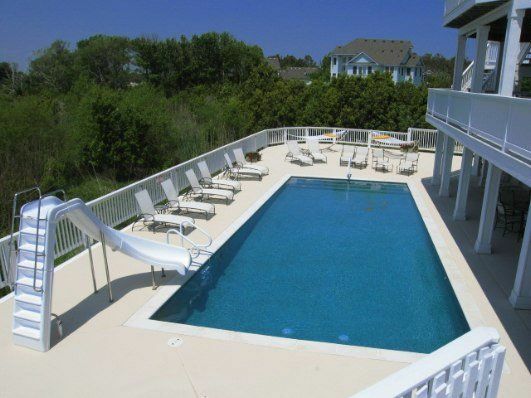 Village Realty is great at providing service, quality product and guest satisfaction. They have a wonderful staff who delivers personalized service and they will help you find the lodging that best fits your needs. 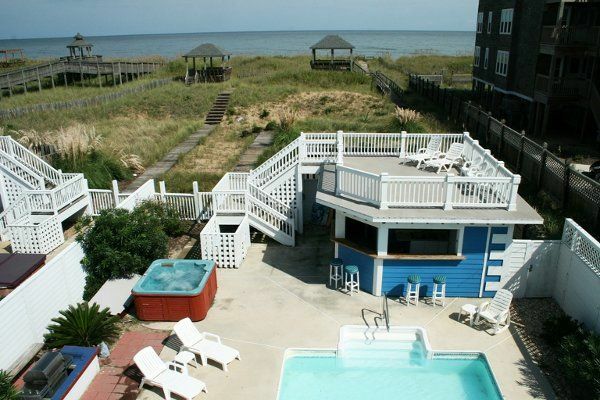 A long-time OBX business!